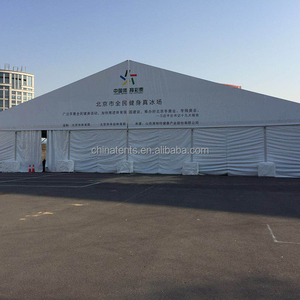 2 YRS Yangzhou Eden Import And Export Trade Co., Ltd.
* Specifications Tent Span 9m Tent length 27m or unlimited. 2. Unit combined structure, easy to assemble and dismentle. 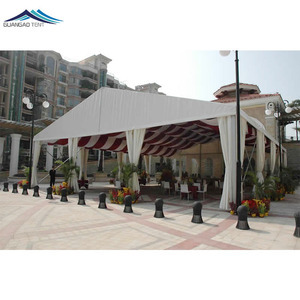 You can extend or narrow down the tent length accoring to different occasion and different grond size. 2.The products are with a plastic and a non woven inner it and outside with the carton,so that we can sure the products can not be broken. 3.We have our own driver to deliver our products to the harbor that can make the products be safe for the whole road. 4.When we finished the first one,we will show you the sample and while you confirm the sample we will have the mass products. ( 5 ) None interior pole and ground space 100% used . (2) On sand and grass ground, the ground anchors would be needed. (3) On cement or tarmac ground, the expansion screw would be needed. 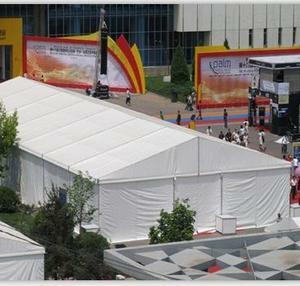 12 YRS Suzhou WT Tent Co., Ltd.
5 YRS Guangzhou Jieol Stage Equipment Co., Ltd. 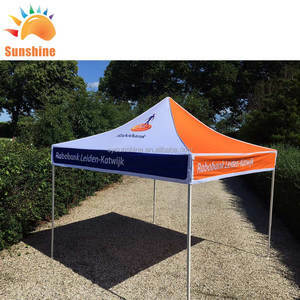 Structure Aluminum profile high pressed extrued aluminum alloy 6061-T6, profile:250X110X5mm for 25~30m width Steel parts hot-dipped galvanized , Passed 144 hour of salt spraying test Raw material Top roof fabric 850g/sqm(24 Ounce) laminate Vinyl, waterproof , fire retardant M2 UV protection, and Rotproof. Blackout Side panels (1) 650g/sqm(19 Ounce) laminate Vinyl, waterproof , fire retardant M2 UV protection, and Rotproof. Certificate: Lining BS5867 Certificate PVC flame retardant Certificate ROHS Certificate Wind loading If you need above clear certificate copy,Pls feel free to contact me now. 4 YRS Suzhou Liansheng Aluminium Industry Co., Ltd.
2 YRS Guangzhou Gou Ao Tent Co., Ltd.
You are warmly welcome to visit our ----Less than 30 minutes driving from Canton Fair to our factory. ----Almost 1 hours driving from BaiYu airport to our factory. ----Almost 20 minutes driving from city center to our factory. 3 YRS Guangzhou Hongyi Trade Co., Ltd.
3 YRS Guangzhou Happy Win Inflatable Co., Ltd.
10 YRS Changzhou Changyi Exhibition Tent Co., Ltd.
3. Party tent can also decorate with wooden floor on ground to make it more classic. 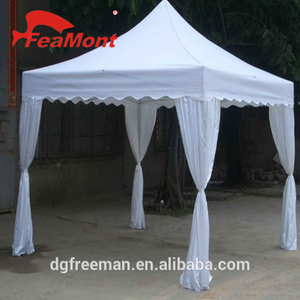 Q: What is the material of your tent9 A: Our party tent main frame is aluminum alloy or steel aluminum. Q: What is the warranty and safe of your tent9 A: Our tent is made by European standards. 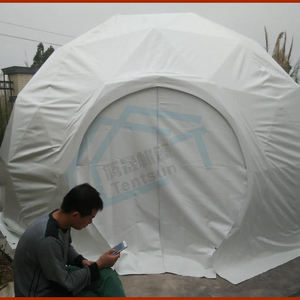 1 YRS Shenzhen Baikal Tent Co., Ltd.
Alibaba.com offers 4,072 wedding party tent design products. About 56% of these are trade show tent, 6% are advertising inflatables, and 2% are wedding supplies. 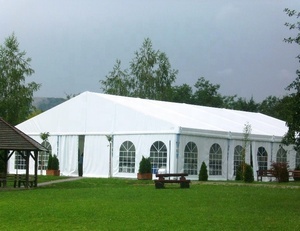 A wide variety of wedding party tent design options are available to you, such as free samples, paid samples. 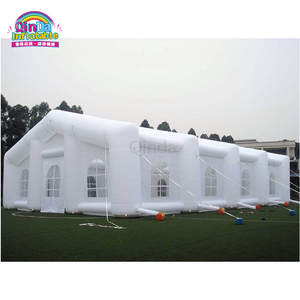 There are 4,072 wedding party tent design suppliers, mainly located in Asia. The top supplying country is China (Mainland), which supply 100% of wedding party tent design respectively. 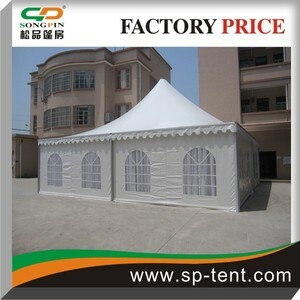 Wedding party tent design products are most popular in North America, Western Europe, and Mid East. You can ensure product safety by selecting from certified suppliers, including 1,077 with ISO9001, 200 with Other, and 165 with ISO14001 certification.